Wow! Hurry over to Amazon and get this Brother Monochrome All-in-One Wireless Laser Printer for Only $149.99 Shipped! (Reg. $250). 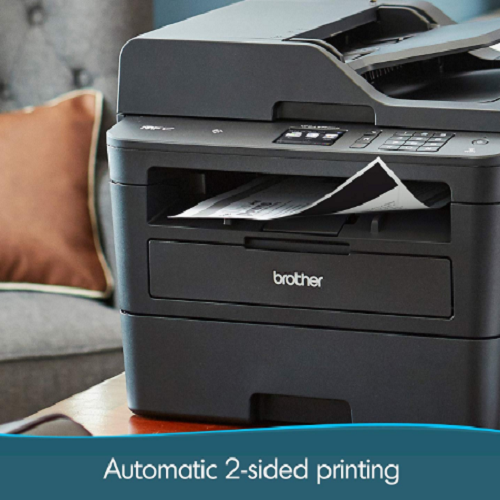 Perfect for small or home offices, the Brother monochrome laser all-in-one delivers class-leading print speeds up to 36ppm (1) along with wireless networking and single-pass duplex copying and scanning. Flexible paper handling choices include an up to 250-sheet capacity paper tray and 50-sheet automatic document feeder. Offers WiFi printing from compatible mobile devices (2) and NFC ‘touch to connect’ printing and scanning (3) for added convenience.